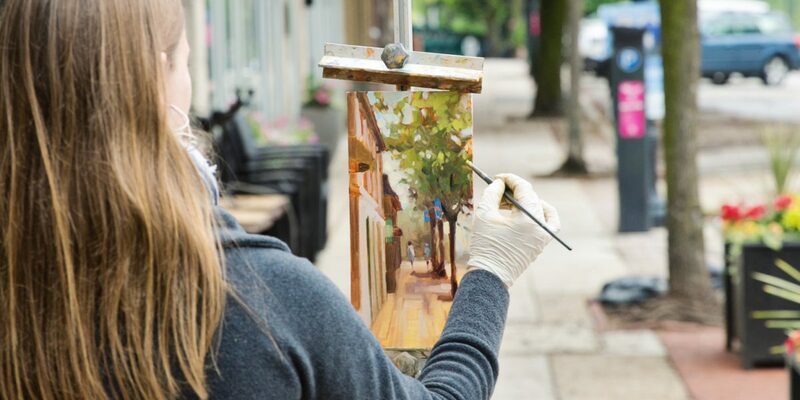 Become part of Wayne Art Center’s Plein Air Festival! *Teen artists may come and go to fit their schedules. Join Wayne Art Center for this one-of-a-kind painting workshop for teens! Under the guidance of a Wayne Art Center instructor, participants explore the elements that make-up a landscape painting, including color, depth, light, and shape. An easel, acrylics and a 12” x 9” canvas will be provided for each participant. Wayne Art Center instructors will collect all completed plein air paintings from teen participants at the end of each session. All works will be displayed at Wayne Art Center’s 2019 Plein Air Exhibition. May 20-June 29, 2019. Bring family and friends! To learn more about Wayne Art Center’s 2019 Plein Air Festival visit wayneart.org. Contact Emma Fogt at emma@wayneart.org or 610-688-3553 for more information.